March 21, 2013 theslowlanemeLeave a Comment on Where’s the silver lining? A recent conversation with a friend has led me to realise that, by painting a brighter picture, I am not doing myself any favours. It’s just how I am; to look on the brighter side, and it has definitely helped me during my M.E journey so far. But it may be that it leads people to think that my life is okay when it isn’t. It’s hard to explain because I don’t often feel sad or low. I have accepted my illness and I usually really am ‘fine in myself’ as I often say. But my life is not okay. I don’t think I’m very good at sharing my feelings. I hate to offload onto other people because then they have to deal with my stuff on top of their own. My family are suffering because of this illness too. It doesn’t seem fair to burden them with more than they already have on their plate. So this blog is a part of my way of offloading. Recently I’ve been starting to wonder what the point of it all is. What’s the point of having a shower? What’s the point of getting dressed when I have nowhere to go? What’s the point of changing my diet? What’s the point of all of it; all of this rehab? I know that the real point is that if I don’t (when I am well enough to) I am no retraining my brain properly. I would lose my routine. I suppose I’ve worked too hard and for too long to give up now, but sometimes I just want to stop. Sometimes I can’t take it anymore. It feels like a down few days. I miss the children I used to nanny for immensely. The children I looked after; the children I imagined would be a part of my life forever, who would walk down the aisle with me if I ever got married. They very rarely see me anymore because I’m not well enough. They’re still waiting for me to take them to McDonalds… Realising that this illness has had an impact on those outside of my immediate family, and knowing there’s nothing I can do to make it better, breaks my heart. I feel so guilty but I know it’s not my fault. 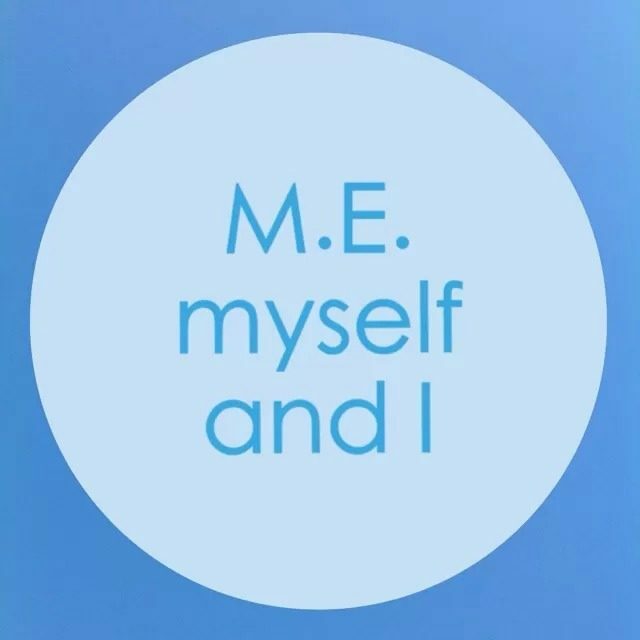 As an M.E sufferer I live in fear of relapses, while at the same time I try to appreciate my recovery. At the back of my mind I am always waiting for it to come crashing down again. But I must, must, must remember the positives. Today I washed up a bowl! I dried it too! I could never have done that before. But isn’t that such a sad achievement? People do that everyday and manage it without even giving it a second thought. It doesn’t seem fair. But while I wallow in self pity there are sufferers of this conditionand many others that are in a far, far worse situation. Why can’t I be grateful? I hate these down days. It doesn’t feel like me. I didn’t even want to watch Bridget Jones last night! I just wasn’t bothered. Even she couldn’t lift my spirits. I am grateful to have made progress. Trust me, I am, but I’m also wanting more from life than having to appreciate being able to stand up in the shower. I am overwhelmed by thoughts about the future, particularly in regards to finances. Moving out and living an independent life and fending for myself…it is so out of my reach. For now and the near-future anyway. Friends say they are confident that I will get better. They say they ‘have a feeling’ or that they ‘just know it’. That’s lovely and I suppose it shows how strong their faith in me is. Nevertheless the cold, hard truth is that I am highly likely to be an M.E sufferer for the rest of my life. Again that isn’t pessimism but merely stating the truth. This condition is like a death sentence. While I have already made improvement, and I hope to make much more, I may never be free of this awful condition. I have, or I am trying, to accept that. I need everyone else to accept that too, as hard as it is.